Seniors have expressed that they do not want to be treated as helpless individuals; they still want their independence, and a good quality of life. Empowering seniors to protect themselves will not only contribute to a better quality of life and independence, but also provide them with peace of mind, confidence, and empowerment. Facilitated in a safe, calm classroom environment, this practical personal awareness and self-protection course was developed according to the age, physical abilities, and mobility of the students. Implementing effective safety knowledge/tips and self-defense techniques tailored for seniors, the Sensational Seniors workshop consists of two modules. 2. Scams, fraud, and theft - The types of crime targeted against seniors! • How violent do these crimes get? 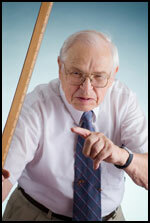 The physical violence against seniors is the focus of this module. Taking into account the age, physical abilities, and mobility of seniors, techniques to empower seniors regarding physical attacks/violence will be taught. The goal is to provide students with knowledge that will assist them in making appropriate decisions as to which method is best regarding self-protection and their own personal safety.